All WCCLS member libraries will be closed on Monday, September 3rd, in observance of Labor Day. Want to access books and movies but the library is closed? 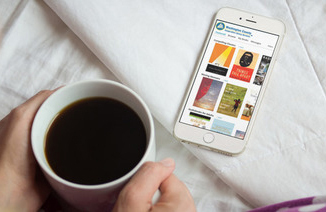 Download e-books and audiobooks and watch movies on your smartphone, tablet and more - 24/7! Banks Public Library will be closing immediately (1:00 pm Thursday August 9) due to electrical issues. The Library will most likely remain closed tomorrow as well. For regular hours and contact information for all libraries, please visit: http://www.wccls.org/your_libraries. Update 8/10/18: The electrical issues are resolved, and the library will re-open with regular hours on Saturday, August 11. Thank you for your patience!